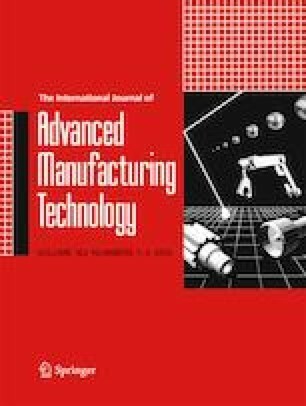 This work presents the optimization of weld factors for ultrasonic welding of similar thermoplastics acrylo-nitrile butadiene styrene (ABS) to ABS (ABS/ABS) and polypropylene (PP) to PP (PP/PP) using Taguchi experimental design (L-8). Energy director (ED) fabricated using injection molding is the protruding part for getting ultrasonic vibrations concentrated at the joint interface. Dimensions of ED were increased, as compared to literature, to investigate its effect on joint quality. In addition to enhanced ED dimensions, it was essential to consider the other weld factors properly leading to parametric optimization of these factors for selected thermoplastics. For both ABS and PP, highest lap shear strength (LSS) was achieved while using triangular (TRI) ED instead of SEMI (semi-circular) ED. In the case of ABS, applied pressure, amplitude, and hold time are found to be the significant factors for maximizing LSS; however, amplitude and weld time are found to be more contributing parameters for weld strength in the case of PP. Significant improvement in the weld strength (LSS) has been achieved after conducting the validation experiments for both ABS and PP, i.e., 31.21 MPa (104% of original ABS shear strength) and 22.36 MPa (319% of original PP shear strength) respectively. Substantial enhancement in LSS has been acquired as compared to previous studies. This improvement was only possible with introducing the new joint design for ultrasonic welding that is an innovative design idea. Furthermore, these huge improvements in LSS were never reported for any other welding process utilizing thermoplastics in literature. Although ABS and PP are ductile, various causes of fracture brittleness are also microscopically studied for both materials. It is hereby admitted that experimentation in this work has been completed using Lea Lab of The University of Sheffield UK.